LMNITRIX Melt Fat Burner is an American-made thermogenic fat burner that’s alleged to provide rapid fat loss and a day-long energy boost that doesn’t entail the risk of jitters, crashes or other negative reactions. The blue and white capsule casings give this product quite a distinctive look but the most memorable thing about any product should be the results. Let’s take a closer look at Melt Fat Burner and see if customers are likely to remember it for its fat burning power or its power to disappoint. It has to be said, the Melt Fat Burner sales page on the LMNITRIX website is big on promises and low on information. It says what the product is supposed to do, but not how it does it. However, if it can boost the metabolism in the promised way, and decrease the appetite, the capsules should help ensure the body is burning more calories per day (faster metabolism) and receiving less of them to burn thanks to a decreased food intake (appetite suppression). When all the calories are gone the body will need to burn fat instead. 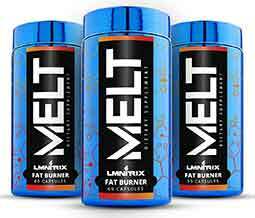 Most fat burners are designed to speed up the metabolism, but LMNITRIX claim Melt Fat Burner is a thermogenic fat burner as well. Fat burners that work in this way contain ingredients that elevate the body temperature by a modest amount, causing extra calories to be lost from the body as heat. This product has been around for a while and the present formulation contains a lot less ingredients than the previous one, most of which were hidden in a propitiatory blend. The new formulation only contains six ingredients instead of 13 and all inclusion rates are provided. L-Carnitine Tartrate (200mg): L-Carnitine is an amino acid capable of reducing fatigue. It’s also known to support good mental health and is sometimes used a treatment for depression and cognitive decline. Garcinia Cambogia (200mg): A fruity fat burner that suppresses the appetite and discourages the body from storing excess calories as fat. These abilities are made possible by the presence of a chemical compound called hydroxycitric acid. Experts say garcinia cambogia needs to have a potency of at least 60% HCA. The potency of this extract is not stated. Caffeine Anhydrous (135mg): A fast-acting caffeine provider. Caffeine is good for providing increased energy and boosting mental alertness. Research shows it is also capable of boosting the metabolism and triggering thermogenic fat burning. Choline Bitartrate (100mg): The results of a study conducted on female martial artists suggests supplementation with choline may result in rapid weight loss. Capsimax (20mg): A patented cayenne red pepper extract. Research shows cayenne is a red hot weight loss aid that suppresses the appetite and can boost the metabolism and significantly increase energy expenditure. Better still, the capsaicin it provides, is also known to be a thermogenic fat burner. Hordenine (20mg): A plant molecule that is sometimes used both as a stimulant and as a fat burner. However, its potential in both areas is hopelessly under researched, as is its potential to cause harm. Usage Guidelines – One capsule is required each morning, followed by a second one during the afternoon. A gap of at least six hours is needed between doses and new users are advised begin with only one capsule per day while they check for tolerance issues. The minimum suggested usage period is four weeks. After eight weeks, use of the product has to be discontinued. Some people say Melt Fat Burner does what it’s intended to do, others are adamant it does not. However, bearing in mind the fact that formulation has been changed, customer feedback cannot be relied upon because there is no way to be certain which version of the product the reviewers are referring to. Due to the fact that the formulation contains an under researched ingredient (hordenine), we suggest nobody use this product without first attaining the prior approval of a doctor. 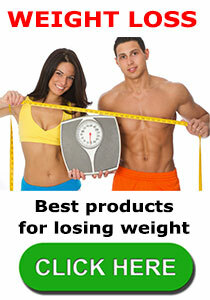 It’s possible to buy Melt Fat Burner from the LMNITRIX website. Customers are told their satisfaction is 100% guaranteed, but they are not told for how long. The new Melt Fat Burner contains five good ingredients and one that has more dubious credentials. Hordenine is the fly in the ointment and the lack of reliable customer feedback makes it impossible to say if its presence should be a cause for concern. The formulation certainly has the potential to encourage weight loss, but so do the ones used in certain competing products that only contain ingredients that are well researched and proven to be safe. The Melt Fat Burner formulation has already been changed at least once. Maybe it’s time for LMNITRIX to think about changing it again. 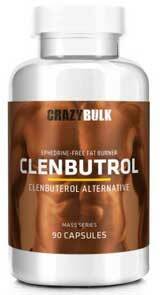 If you want a fat burner that is free from the jitters then you should consider Clenbutrol from CrazyBulk.